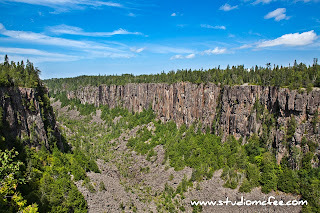 Ouimet Canyon is another uniquely Canadian landscape. This canyon is a one-of-a-kind gorge, 100 metres deep, two kilometres long. The depth creates a micro-climate with its own flora. The park's website says "This sheer-walled canyon shelters rare Arctic-alpine plants along its boulder laden floor, where snow often persists until late spring." 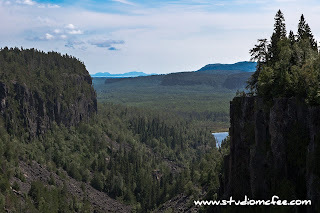 Ontario Parks has created trails including two lookouts that jut out over the canyon. It can be a bit unnerving if you have any fear of heights, but the views are rewarding. 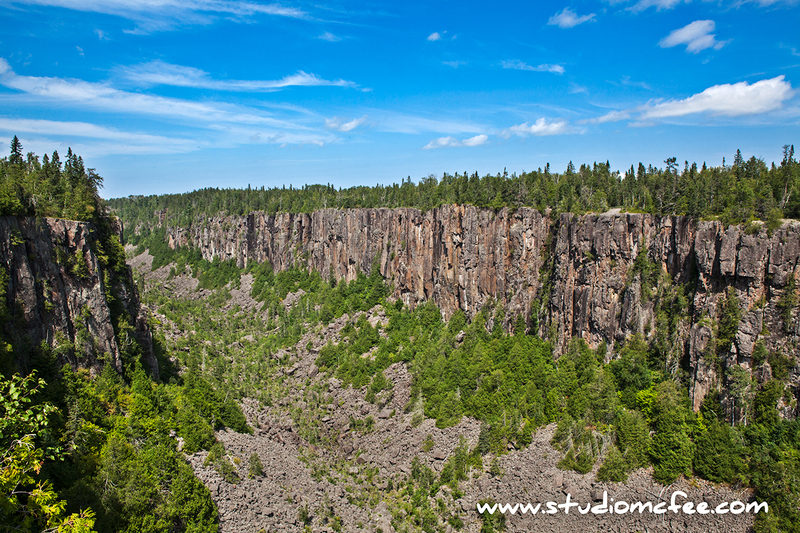 Ouimet Canyon is a place that inspires awe in the natural world. If you are traveling the Trans-Canada Highway north of Lake Superior, take a couple of hours to visit this place. You can't see the canyon from the highway but you can catch a glimpse of Lake Superior from the open end of the canyon (upper left of first photo).